Target is the integration of sustainable design into the master planning process of large scale developments in our cities. The transparency and credibility of such processes can only be ensured through the effective collaboration of developers with local authority planners, politicians, communities and related statutory bodies. 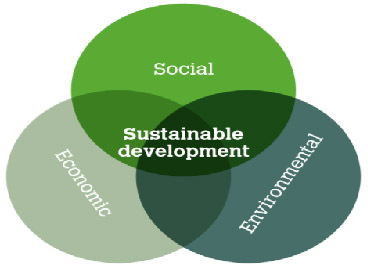 It is the ability to meet the needs of today, without compromising the ability of future generations to provide for the needs of tomorrow, described as the equilibrium between environmental and financial considerations and the needs of the community. A sustainable development will achieve a balance between fitness-for-purpose, value-for-money and environmental impact together with the integration as part of a larger, sustainable community. A defined set of criteria via a recognised strategy has a higher chance of being properly considered and the resulting sustainable design proposal realised. · Identification of opportunity in full from any required studies undertaken for planning purposes i.e. environmental impact assessments.